Our vision is to future-proof United Herzlia Schools by building the Endowment Fund to ensure that no Jewish child is denied a Jewish education for genuine financial reasons; and that Herzlia remains an affordable Jewish community school providing educational excellence with world-class facilities. I moved here, from Nigeria, on Saturday the 18th of January 2014 and started at Herzlia on Monday the 20th of January. Moving schools is generally described as quite a jarring and disorienting process. A process rarely made easier when one is 7430 kilometers from everyone and everything that one has grown up with. Here I was in a new school and new country surrounded by new people, cultures and languages yet expected to hand in a seemingly never-ending number of tests, assessments and essays. This ultimately resulted in an overwhelming sense of disconnection and disillusionment. I had no creative outlet and no means through which I could release the pent-up teen angst. I can clearly remember Mrs Kerbel, my Grade 8 English teacher, calling me out to the front, mid-class and demanding that I read, what I perceived to be a pretty irrelevant essay of mine, to the class. For reasons still unbeknownst to me, she had taken the absurd little story to heart and had believed that my badly punctuated tale of a prepubescent ghost was a story worth sharing with her class. This marked a turning point for me. Her innocuous act sparked a love of storytelling that provided both an escape and a link to reality for me. It provided a means through which I could reinvent the world and add meaning to the mundane. Culture, within Herzlia, is a particularly multifaceted pillar and the arts can be explored in various forms throughout one’s school career. I began attending writers club meetings and photography classes taught by volunteer parents. These skills were brought together by the Middle School media committee through which the school magazines would be produced. From directing, writing and acting in one-act plays to the production of several short films made with friends that might not be here without the support of the Foundation, the collective impact of your generosity on the cultural life at Herzlia is remarkable. The creative arts are ultimately a culmination of the will to create and the desire to add just a little bit more to the world. As every pupil walks into school, they are confronted with the motto “if you will it, it is no dream” and it is this belief that spurs every creative student within the system to seize the odd stories and images floating about within our brains and add colour to the canvas before us. I would imagine that the same desire to create and improve drives all of you today, without whom I, and countless other pupils, might not have the platform to actualise their potential. I would like to thank the donors gathered today for their contributions. In assessing your impact, one might be compelled to consider the number of classrooms and facilities built and refurbished or the number of pupils sponsored but the true value extends well beyond that which can be quantified. One cannot assign a value to the satisfaction of actualising goals or the fulfilment of learning new skills. It is significantly harder to calculate the monetary value of friendships made in band practices, trust earned amongst fellow cast members after a particularly embarrassing fall during a rehearsal or the comfort found in mutual exhaustion whilst completing art projects with classmates. Yet the culmination of little moments like these that make the hours spent practising and rehearsing so worth it. Every moment spent perfecting our craft equips us with skills that have allowed us to develop, not only, as creatives but as young individuals (hopefully) ready to take on the world ahead. My preferred medium of storytelling has evolved during my time at Herzlia but the love for self-expression and the courage to present myself and my works today stems from the interest and support of educators like Mrs Kerbel. Her actions, and the guidance of the many teachers and mentors along the way empowered this little foreign student to own his stories and create his own happy endings. It’s for this, and for so much more, that we are thankful for. Have a wonderful evening. I think the first half of my Herzlia school career can best be described as survive rather than thrive. My true passion lay in finding ways to stay at home from school which didn’t prove easy when your father is a doctor. My other passion was in trying to find any way to make a buck. I remember being taught by our Sub B school teacher how to make those smelly potpourri things you used to hang behind kitchen doors. That school holiday, I became a travelling potpourri hanger sales lady, making large amounts of cash for such a mediocre product which was quickly used to purchase huge stashes of shortbread tumbles and Nik Naks. I was streetwise rather than academic and I think my teachers might have considered me disruptive. But Herzlia was patient with me. Maybe they’d seen my type before… late developers who took time to find their groove in order to commit rather than cruise. So I cursed my way through Primary School and clawed my way through Middle School and finally, Herzlia’s patience paid off. They presented me with a teacher and a subject that changed my life and spoke to what I was about. Herzlia waited out my E’s for Maths in Standard 7 and 8. They understood that my daily report-induced behaviour in Standard 9 was due to my class not being challenging enough and moved me to a class of similar minded, debating kids. And then they gave me Jill Joubert. Jill was unique. She was a product of the apartheid era struggle and wore red leather shoes and dangly beaded earrings and wouldn’t dream of dying grey hair away. She was a feminist, with a gritty countenance but she found ways to show us love and commitment in a way that many of my teachers might have in the past but which I had not been open to receiving until then. Jill opened up a world for me in her art room that nurtured and challenged and fed and held. She ignited a passion I didn’t know I had. It wasn’t a passion for art. Nah. I like art. I even got a major for in it at University. But the art was totally secondary to what she ignited. Jill ignited in me the need to be the best that I could be, within the confines of staying true to myself. She didn’t compare me to other students. She didn’t require me to be a Picasso or use oils or even stay within the lines (In fact she celebrated going out those lines). All she wanted was for us to find a style that was true to who we were and then to explore that to the best of our ability. When I look back now, I realise that almost every kid in her class of 93 continued on a path after school which was started in that art room. One student used paint to create patterns that wove and weaved through her paper – she now runs a successful textile design business. Another would take weeks to work on an A5 size rendition of a photograph literally copying it pixel for pixel. This obsession with making sure every part of the story is told, led her into film as a documentary filmmaker. The girl that stayed within those lines became an architect and the one that included font and writing in everything he did, became a graphic designer. And me, I discovered a viewfinder. 2 L-shaped pieces of paper that fit together to create a square and which allows you to isolate a portion of an image, thereby allowing one to create an abstraction from something rooted in reality. This viewfinder in the years to come became a real one on a camera and would later help me to start a business that is now 12 years old and has just been featured for the second time on the cover of Visi magazine. Art is a hard subject to teach. You are judging someone’s insides that they have offered up to you on a piece of paper or in the form of clay or as one kid was want to do in the form of chunks of burnt plastic (he won the art prize the year before me and is now one of the top art directors in the world, oh and he got an E aggregate for matric!). Art has the power to help kids who have never found their calling before, to locate their true north. It’s the thinking out of the box that we endeavour to teach our kids and it can speak more power to the truth than often words can. I probably would have eventually found this calling but when I look back introspectively and I am grateful I was able to find it in the safe and nurturing environment that Herzlia created for me. I am grateful that Herzlia recognised excellence in a teacher like Jill. Herzlia left us alone to do what we needed to do. To explore, and debate and to challenge and to fight and to play and to discover. Since a little girl I dreamed of owning my own business and since school, I knew it needed to be linked to something creative. For the last 12 years, I have been living that dream creating wallcoverings that transform spaces. Herzlia provided the foundation of I’m Tirzu, if you will it, it will be and Jill Joubert gave me the building blocks to build on top of that foundation. I’d like to end off by saying that besides being a late bloomer at school, I seem to also be one in life itself. It is only now in my very adult years, that I am coming to appreciate the incredible work done by people like you behind the scenes. It is only recently that I am seeing and appreciating the incredible community in which we live. I’m currently enrolled in the Eliot Osrin leadership course and for the first time in my life, I am being properly exposed to the extraordinary nature of this Cape Town community. The way we are structured and the time and effort that goes into making sure that each and every Jew is looked after has left me quite overwhelmed. Maybe it’s because I took a lot of things for granted growing up, maybe it’s because I have always looked outward at the broader South African community as my first port of call and maybe it’s just because I didn’t know. Didn’t know there were donors like yourselves making sure that no Jewish child is turned away from Herzlia. People like you who see education even if it’s not for your own as paramount and people like you who allow Herzlia to find the Jill Jouberts of the world and let them do what needs to be done to ensure our youth have the best springboard into this crazy, manic, beautiful mixed up world in which we live today. To you I say thank you. I never wanted to be a Herzlian. I never wanted to attend Herzlia, in fact I wanted to go to Bishops. Wear a fancy necktie, play in the number one water polo derby in the country against Rondebosch, where 600 kids and parents would be in attendance to watch. I just wanted that culture. For those who don’t know, water polo is a sport dominated by members of these all-boy schools. It’s supposedly “impossible” to even think about rocking up to Western Province trials if you didn’t belong to an “A- League” school, yet alone Herzlia. A B-League school with the current record at the time of 0 wins 8 losses and some disciplinary challenges. Yeah, odds were definitely stacked against us. I ended up playing Western Province. Herzlia now has a current record of 25-1-1. A formidable derby against Camps Bay which is hyped up by both schools a week in advance and a chance to one day, in the future, move up to the A-League. Now one naturally asks how does this possibly happen at Herzlia? Well, I would like to sum up my time at Herzlia by the good old saying, give a man a fish and you will feed him for a day. Teach a man to fish and you will feed him for a lifetime. Do you really think Herzlia is going to give you a fish? Let me tell you something, Herzlia won’t even give you a fishing rod. But what Herzlia will do is say, over there is the pole, over there is the piece of string, and over here is the hook. If you are still passionate about fishing by the time you finish assembling the fishing rod as you were when you asked about fishing, well….. Then you’re going to catch yourself a great white shark! And when you do, you will never feel so much pride in yourself then when knowing the fact that you did that and no one else gave it to you. I spent my High School career asking why they did this. Why couldn’t there just be a massive Camps Bay Derby, why did my friends and I spend break after break organizing this derby day with Mr Sass and Mr Galley? Why couldn’t there be a great Herzlia water polo team? Why did we have to spend most of our free time installing a new system and culture, overriding the old culture of disrespect, why did we have to at one point coach ourselves when coaches wouldn’t rock up to practice? Why did we have to take it upon ourselves to order first team kit from Spain (which Bishops and Rondebosch use) Why did I have to spend so many more hours than usual at Herzlia training for trials? Well, the answer is the reason why I’m up here tonight because Herzlia won’t give this to you. You have to stand up, and work for it and take it, and do it yourself. Why? Because Herzlia instils passion. The most valuable characteristic in today’s society. Yet as soon as you leave school, it all seems to be lost. As soon as you leave all those all boy schools. The derby’s, the culture, the excellence that you were given is all gone now. And with it, the passion that you had to pursue excellence. So yes, we spent so much extra (almost unnecessary time) on our water polo programme. But I’ve never been so proud of a project. We have inspired younger kids below us to pursue water polo. Playing A-league (which was impossible when I started playing water polo). Is this now a realistic goal for the future first team? Yes, we had to create a water polo derby out of nothing. However, for Herzlia and Camps Bay sport, it’s now the highlight event of the year drawing crowds that are ever increasing. The pride both schools feel leading up to the game could be rivalled to a Bishop’s vs Rondebosch derby. WE DID THAT. Yes, I had to spend so much more time training than your A-league player but it paid off in the end. And after all of this, I have never felt so proud to be a part of sport at Herzlia. Because the chance of excellence and success wasn’t given to us, we had to stand up and want it. That passion that we cultivated ourselves will never be forgotten, that passion Herzlia incubated will drive Herzlian’s onward and upwards. The main question tonight is how do they really instill passion and the will for excellence? Genuine belief. I never used to be like this. I was such a naughty kid when I was younger. Serving an average of five detentions a week, every teacher who knew me, wanted me on Ritalin. I was going nowhere. It was only until Mevrou Botes took me out of detention one Friday afternoon in Grade 9, sat me down in her office and told me that she believed in me. She gave me an opportunity to change myself, and when I started to change I realized that was possible for me as an individual to excel. Bear that in mind, she took me out of a detention for skipping class to jump off the roof of the pool covers into the pool, to tell me and show me that she believed in me. I truly doubt that would have happened at any other school. Someone like me would have easily been lost in the system. That’s the greatest part about Herzlia. Every pupil is accounted for somewhere during the course of their school career, and has had some form of belief instilled in them. The belief that they can and will achieve what they set out to do. This one small idea alone is something I believe not many schools will do. You see the motto of Herzlia, doesn’t do its system justice, “If you will it, it is no dream”. Because Herzlia will make sure that you WILL it. And that it will NEVER just be a dream. This genuine belief instilled incubates the passion in so many Herzlians that drives them to excel and become successful in the 21st century – more than most. It is because of this, that I stand up here this evening and proudly say “Im Tirzu, Ein Zo Agadah.” You will it, it will never just be a dream. They say that a Barmitzvah is the moment in a Jewish boy’s life where he realises that he’s more likely to own a soccer team than to play for one. This certainly holds true in my case given that my athletic ability is about as good as Alan Donald’s running between the wickets in the 1999 cricket world cup final. Nevertheless, I love games and competition and I have been channelling this into the sport of Chess since the age of six. Before I move onto how accommodating and encouraging Herzlia was in promoting my chess career, I would like all of you to first understand how important chess has been to my development. It gave me logical thought, the ability to strategise, enjoyment, most likely bettered my school marks, and obviously, the best way to impress a lady is to explain to her how great you are at chess. But more importantly, it has given me an understanding which I can apply to life. For example, the idea of making a sacrifice in Chess can easily be compared to life. Temporarily the outlook is negative, but after a few moves or years, you find yourself in a far better position than you were previously. Another example is how a game a chess is not won after a few moves. Sometimes it takes time and patience to implement your strategies. Also, it illustrates how women are far more powerful than men. In certain school environments, I may have had to make a choice between being popular and playing chess as the two can be seen to be mutually exclusive. However, at Herzlia this was never a concern. This is because at Herzlia the most important part of making friends is simply being a mensch. I was of the opinion that this was the case for most schools in Cape Town until I went to UCT and made friends with two water polo jocks. They asked me what sport I played at school and I replied without hesitation that I played Chess. They replied with “Were you bullied at school?”. I wasn’t bullied but this made me realise how unusual Herzlia was. Let me take you back to 2009. I am a Grade 10 student, we have just finished an Afrikaans lesson (where I could hardly focus) and now we are off to play against SACS in a chess match. Now, Mrs Kerbel was my English teacher at the time and was in charge of the school chess team. She is also sitting over there. She was probably more passionate about chess than any of us despite not knowing how to play. Needless to say, being a Jewish school, we were the best chess team in Cape Town. Mrs Kerbel took a lot of pride in this. We would get into her car and immediately the Kit Kats would be handed out to us. That set the tone as we drove to our match while talking about everything, from how badly we did at our English papers to how confident we all were that we would each win our match. Mrs Kerbel would immediately take off her teacher hat and became our friend, in a way most other teachers would not be able to. These car rides also made a bunch of individuals into a team. Herzlia, catching onto our winning streak, ended up announcing the chess results last in the sports report to ensure the report always ended off on a winning note. The skills that I learnt from those matches I carried with me to UCT, where I won the University Chess Championship in my first year. I was meant to be flown to Russia to represent South Africa University Chess but they made a last minute decision to send the volleyball team instead. Needless to say, I haven’t watched volleyball since. I am grateful that I was sent to Herzlia but furthermore I will be undoubtedly sending my own kids to Herzlia and hopefully one day I will be sitting in one of your chairs, as I realise that supporting Herzlia means that kids are enabled to continue their passions without the fear of allowing society to dictate to them what they should and shouldn’t be doing. Herzlia not only walks the walk, but also talks the talk as it not only allows anyone to enrol but allows everyone to live their lives in the exact way they want to, with a strong support structure and principles to rely on. 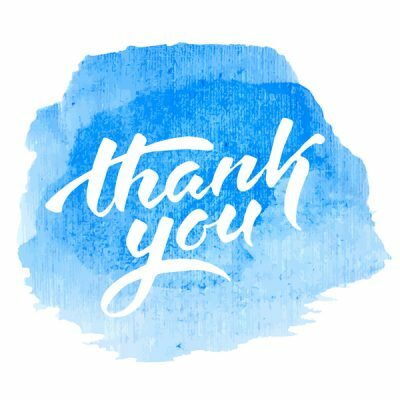 Finally, I would like to thank you all sitting here today and The Herzlia Foundation Trust for being the reasons this school is as successful as it is. I am a former Herzlia pupil. I write this letter to tell of Herzlia’s greatest gift to me: an Israeli and Jewish identity. 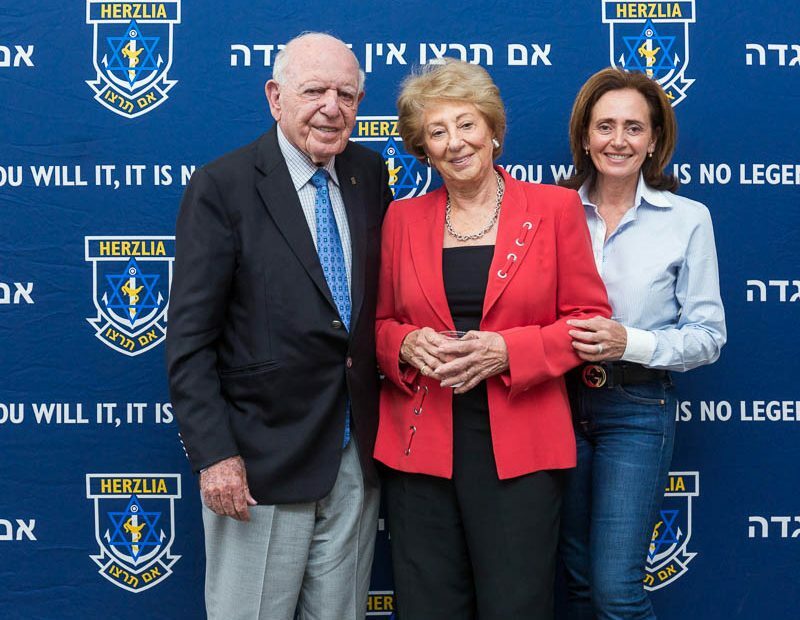 Besides academics and sport (together with a pleasant community and social life), Herzlia puts an incredibly strong emphasis on the teaching of Zionism and the cultivation of Judaism in its students. What does it mean, to be a Jew? What does Israel stand for and how am I connected to it? These were questions that had I not gone to Herzlia, they would have most likely remained unanswered. Coming from a family of founding kibbutzniks, Haggana fighters, Israeli Defence Force Soldiers, WWII anti-Hitler partizans and early Pioneers of Israel, Judaism and Israel are now fundamental to my identity and to who I am. Out of nothing but sheer will, the modern Jewish State was created. Through my Jewishness and Israeli heritage, I am part of that State. I was an Israeli citizen since age three, but now I am an Israeli citizen consciously and by choice. That I owe to my time at Herzlia. Herzlia awakened that identity within me. I shall carry it for the rest of my life. Herzlia made me aware of that for which my family fought and I am proudly Jewish and Israeli because I know what the Israeli flag represents, which is a direct accomplishment of United Herzlia Schools. I completely agree with the statement displayed on our main entrance, “We know who we are,” because I do. I thank Herzlia very much for this identity. I thank Herzlia too for helping my parents with financial aid which was there to secure that I, as a Jewish child, know about my Judaism. This service of financial aid is provided to many Jewish families who need it. Of course, I am also deeply grateful for the academic standards Herzlia challenged me with, the fine teachers, the community atmosphere and the school’s home-like feeling. I thank Herzlia greatly and encourage it to enhance the emphasis on Judaism and Zionism, particularly the latter. It is a heritage that needs to be continued. I intend to stay in touch with my friends and the school despite my leaving it. I also intend to create new Jewish, Zionist and Israel connections while I study in Europe. © The Herzlia Foundation Trust. Written in 2018. At the age of 13, shortly after my Barmitzvah, my father passed away suddenly and this led to circumstances where my mother, sister and I were practically destitute. This was an incredibly difficult time for many reasons but there were a few factors that helped to pull us through the struggle. 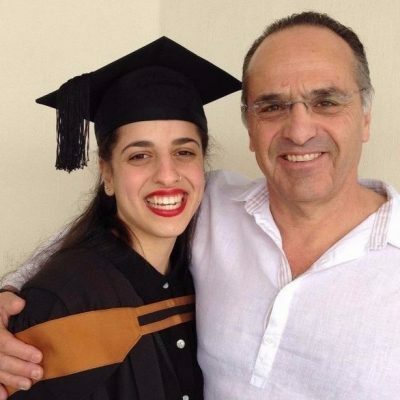 Besides the strength, hard work and resourcefulness of my amazing mother, Jenny, one of the most important of these factors was the incredible kindness of strangers that allowed my sister and I to continue our studies at Herzlia and to both go on to matriculate with distinction. I loved my school years. I had the privilege of being taught by some life defining teachers that I still think about today, and who still teach to this day! I also made friends, some of whom I met in 1st grade, that I remain extremely close with. I now run a successful music school that strives to provide high quality holistic private music tuition to as many people as we can. Funnily enough, a number of the students who walk through our doors arrive brandishing the Herzlia uniform, which is always a pleasant discovery. We also put emphasis on community outreach as well as finding ways to subsidize students who may not be able to afford our music tuition. It is thanks to the generous people who make bursaries possible through the commitment of The Herzlia Foundation Trust that children like myself are able get a strong start in life, regardless of our financial situation. If you already donate to The Herzlia Foundation Trust, I thank you on behalf of my sister, myself and the countless other children you have helped to support in the past, and will continue to support in the future. I do not know what we would do without you. If you have yet to make a contribution, I urge you to do so. It helps more than you could imagine! I was both fortunate and privileged to be a recipient of a bursary from The Herzlia Foundation Trust throughout my 12 years of schooling at Herzlia. Based on my experiences at Herzlia, I really believe that receiving a Herzlia education is par excellence in so many aspects – be it in academics, sports, religion etc. The superior method of teaching at Herzlia, together with the extra nurturing and care shown by the Herzlia staff, enabled me to achieve exceptionally high marks in matric. This enabled me to gain easy access to an Actuarial Science degree at UCT (despite it being usually so difficult – particularly in the early 1990’s where South Africa was experiencing so many economic and political changes due to the transformations from Apartheid). I really believe that the stability, comfort and challenges that I experience working as an actuary today is a direct result of the education that I received at Herzlia. Furthermore, the Jewish education that I received at Herzlia really gave me a strong sense of Jewish identity. It sparked in me the interest and love of and for the Jewish religion. It was the catalyst for my going on to pursue many years of further religious studies which I continued to pursue right up until today particularly in Gemarah (i.e. the analytical section of study of Talmud). A Herzlia education has enabled me to integrate socially with other Jews which I think is so important. When one enters university or the workplace one is exposed to people from so many different backgrounds and religions. If one doesn’t have the experience of growing up within one’s cultural environment, then it’s so easy to get lost within the wider community. So many times I have seen people who were not fortunate enough to receive a Herzlia education forsake their Judaism and love of Israel. I often wonder where I would have landed up without an education at Herzlia – I doubt I would have been as successful professionally, nor as connected to my Judaism as intensely as I am or as emotionally equipped to handle the challenges of parenting without the solid and well-rounded education that I received at Herzlia. The Herzlia Foundation Trust is really such a wonderful, worthy and commendable organisation to contribute to. It’s really life changing and life enriching to all the hundreds of pupils that have benefited from it in the past and certainly for all of those pupils who will benefit from it in the future as well. 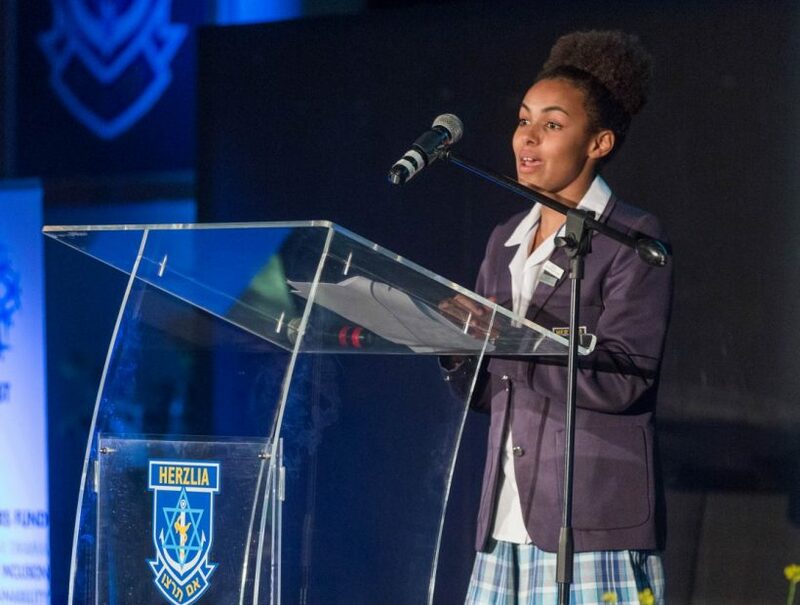 Since the inception of The Herzlia Foundation Trust in 2010, over 1 000 pupils have received financial support. 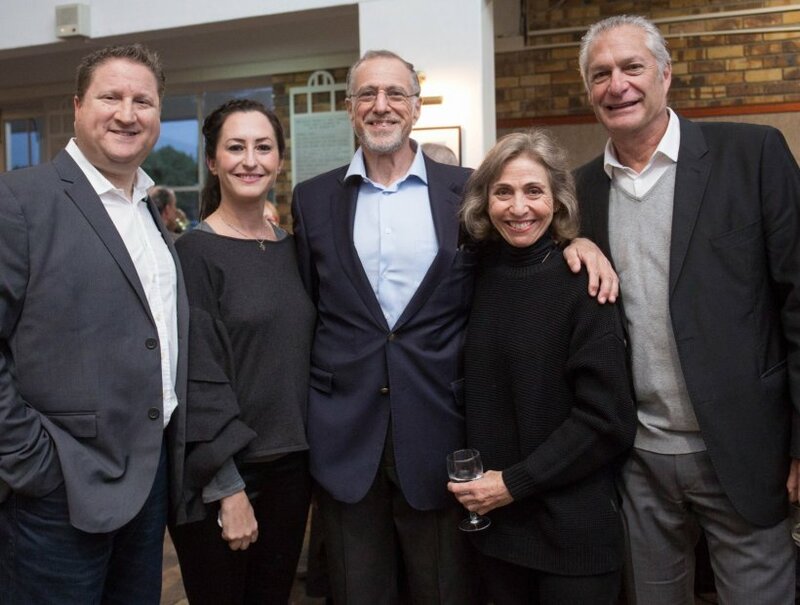 The most recent figure shows the Foundation having provided bursaries and financial support to over 230 Jewish children totalling R12 500 000 in 2015. Many past pupils remain unaware of being recipients of a bursary, or discounted fees. One who has always been aware is Lee Lobel, with Lee’s family coming forward to share their experience with you. When Trevor Lobel moved his family from Zimbabwe to Cape Town in 2002, there was no question in their minds – Lee would attend Herzlia. All went well until Trevor’s business experienced difficult times, and Lee’s Herzlia fees became unaffordable. Trevor approached the school, and after the comprehensive financial assessment, the Foundation subsidised Lee’s schooling for 5 years. Without the help of the Foundation, Lee wouldn’t have received her Jewish education; nor returned to Herzlia at a later date to work as a facilitator in the academic support programme. Trevor continues to honour the support his family received by working probono for the Foundation as our database advisor. © The Herzlia Foundation Trust. Written in 2016.